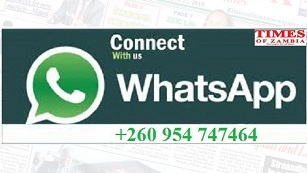 THE Zambia Agency for Persons with Disabilities (ZAPD) is appealing to well-wishers to come to the aid of a 13-year-old boy tormented by a life-threatening condition. Prince Mwamba of Kasama’s Brown Village is suffering from expanding intestines. The problem started when Brown was eight months and since then, the stomach has kept on expanding, causing panic among family members, as no medical attention has so far been sought by the seemingly unconcerned family. 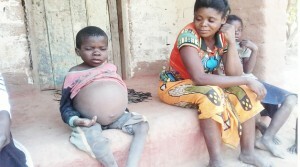 The father is believed to have abandoned the family, leaving the mother agonising with her son’s ailment. It was only on August 4 this year that the mother took the boy to Kasama General Hospital, where the anguished victim, who has never walked, was referred to the University Teaching Hospitals (UTH) in Lusaka. ZAPD Northern Province acting coordinator Lizzy Kapansa, who led this author to the house of the victim in the company of Mapalo Day Care executive director Chanda Chintu, narrated how the mother, Mary Mwamba, refused to take him to UTH despite the two organisations arranging for transport. “She said she needed up-keep and where to leave the other two children, but his ailment is life-threatening. We wanted her to take him, because we made contact with the social welfare in Lusaka, but she is giving us conditions. Your child sure!” Ms Chintu wondered. The mother refused to give an interview. The child hardly talks and has serious difficulties when answering the call of nature. Ms Chintu appealed to well-wishers to come to the aide of the child and other neglected people of society.